Any compliance application shall include documentation which demonstrates that removal of waste from the disposal system is feasible for a reasonable period of time after disposal. Such documentation shall include an analysis of the technological feasibility of mining the sealed disposal system, given technology levels at the time a compliance application is prepared. The U.S. Environmental Protection Agency's (EPA's) 40 CFR § 194.46, "Removal of Waste" (U.S. EPA 1996a), is one of the six assurance requirements in the Compliance Criteria. The EPA states in the preamble to the 1993 promulgation of the disposal standards of 40 CFR Part 191 (U.S. EPA 1993) that the assurance requirements were included in the disposal standards to compensate in a qualitative manner for the inherent uncertainties in projecting the behavior of natural and engineered components of the Waste Isolation Pilot Plant (WIPP) for many thousands of years. To meet the criteria of section 194.46, the EPA states in its Compliance Application Guidance that compliance with the section 194.46 criteria is demonstrated by an analysis that includes (1) completeness of procedures for removal of waste after disposal, (2) descriptions of current technology that could be used in implementing these procedures, and (3) an estimate of when it will no longer be technologically feasible to remove the waste (U.S. EPA 1996b). 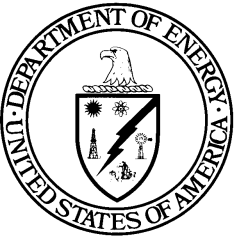 The U.S. Department of Energy's (DOE's) demonstration of compliance with section 194.46 was included in the Compliance Certification Application (CCA) (U.S. DOE 1996), Chapter 7.0 and Appendix WRAC. The DOE presented a five-phased approach to accomplish the removal of waste. This approach was supported by a discussion of techniques that could be used to remove the waste, given repository conditions at the time of removal. The EPA reviewed the material to assess the completeness of the strategy and the justification of the proposed technology for removing the waste. The EPA states in its 1998 Certification Decision (U.S. EPA 1998a) for section 194.46 that the DOE has demonstrated it is possible to remove waste from the repository for a reasonable period of time after disposal; therefore, the EPA found the DOE in compliance with section 194.46. A complete description of the EPA's decision can be found in U.S. EPA 1998a, Section VIII.D.6 , and Compliance Application Review Document (CARD) 46 (U.S. EPA 1998b). The DOE did not report any changes in the 2004 Compliance Recertification Application (CRA-2004) (U.S. DOE 2004) to the information on which the EPA based its 1998 Certification Decision (U.S. EPA 1998a). The DOE maintained its its original position on waste removal after closure, which was presented in the CCA, Chapter 7.0, Section 7.6. Only editorial changes were made to the original text in the CCA, Chapter 7.0, Section 7.6, pp. 7-90 and 7-91. The CRA-2004 included the CCA, Appendix WRAC by reference; no changes were made to Appendix WRAC. Based on the EPA's review of the activities and conditions in and around the WIPP site, the EPA did not identify any significant changes in the planning and execution of the DOE's strategy for removal of waste since the 1998 Certification Decision (U.S. EPA 1998a). The CRA-2004 provides documentation that the removal of waste from the disposal system is feasible for a reasonable period of time after disposal (see the CRA-2004, Chapter 7.0, Section 7.6.2). The EPA did not receive any public comments on the DOE's continued compliance with the section 194.46 requirements for removal of waste presented in the CRA-2004. Based on a review and evaluation of the CRA-2004 and the CCA, Appendix WRAC, the EPA determined that the DOE continued to comply with the requirements of section 194.46 (U.S. EPA 2006, Section V.E ). The DOE did not change its position on waste removal presented in the CCA, Chapter 7.0, Section 7.6. There were no design changes or changes to the disposal system in waste emplacement within the disposal area between the CRA-2004 and the CRA-2009 (U.S. DOE 2009). There were no changes in the planning or execution of the DOE's strategy for removal of waste since the EPA's 1998 Certification Decision (U.S. EPA 1998a). Thus, there was no new information to be provided as part of the CRA-2009, and the information presented in the CRA-2004, Chapter 7.0, Section 7.6, pp. 7-90 and 7-91, and the CCA, Appendix WRAC, continued to demonstrate compliance with the provisions of section 194.46 at that time (see the CRA-2009, Section 46 ). Based on the EPA's review of the activities and conditions in and around the WIPP site, the EPA did not identify any significant changes in the planning and execution of the DOE's strategy for removal of waste since the 1998 Certification Decision (U.S. EPA 2010a). The EPA did not receive any public comments on the DOE's continued compliance with the section 194.46 requirements for removal of waste presented in the CRA-2009. Based on a review and evaluation of the CRA-2009 and the CCA, Appendix WRAC, the EPA determined that the DOE continued to comply with the requirements of section 194.46 (U.S. EPA 2010b, Section V.E. ). The DOE has not changed its position on waste removal presented in the CCA, Chapter 7.0, Section 7.6. There have been no design changes or changes to the disposal system in waste emplacement within the disposal area since the CRA-2009. There have been no changes in the planning or execution of the DOE's strategy for removal of waste since the EPA's 1998 Certification Decision (U.S. EPA 1998a). Thus, there is no new information to be provided as part of the CRA-2014, and the information presented in the CRA-2004, Chapter 7.0, Section 7.6, pp. 7-90 and 7-91, and the CCA, Appendix WRAC, continues to demonstrate compliance with the provisions of section 194.46.